Hi all, Blake Ross here. 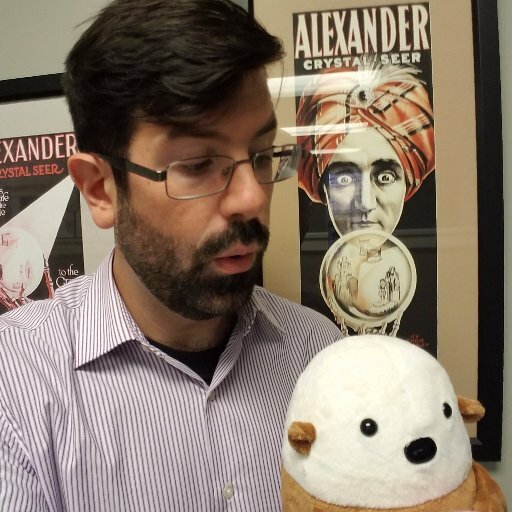 Alex asked me to guest write a post this week because he's a fan of the Firefox project, which I cofounded. Before Firefox, I worked at Netscape throughout high school on its 6.x and 7.x releases. It was my first experience in a professional programming shop. I'm writing this now from my therapist's couch. It's hard for me to write a WTF, not because I can't remember one, but because I remember too many. Netscape was one giant WTF, or as they called it back then, AOL. The company had grown so inept that "WTF" became just another thing we said each day, like "Hey" or "What time is it?" or "We just lost another 5%" or "Marketing wants to replace the Back button with an ad for Bowflex". In fact, as I'm sure you know, the Mozilla movement itself was born when Jim Barksdale looked at the old Netscape 4.x codebase and announced, with tremendous gusto and wondrous pride: WTF? 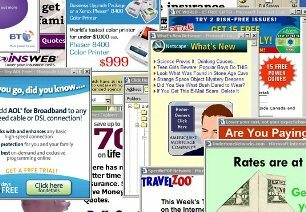 Popups dominated the Web in 2002. No major consumer browser blocked them natively. Mozilla 1.0 did, and that release was the basis of Netscape 7. So Mozilla 1.0 came out in June with popup blocking, and Netscape 7 came out six months later without it, but offered, as consolation, 12 AOL icons on your desktop. Technology reviewers who understood the Netscape/Mozilla relationship did not miss the fact that Netscape went to additional trouble to remove popup blocking. To put it another way, all Netscape had to do to release one of the most compelling browser features in years was: nothing. They still managed to mess up for reasons I haven't yet figured out. During my tenure at Netscape, I sat through more meetings than we had users, throughout which people seemed very good at doing nothing. Fortunately, AOL management got the picture after c|net, in flagrant violation of marketing's press kit, slammed the release for omitting the blocker. To make things right, Netscape quickly released a version 7.01 that included it, but only after renaming it the "popup suppressor" ("popup decongestant" was trademarked). Unfortunately, the release also contained a feature called the "popup suppression whitelist." This was a list of sites that were still allowed to open popups, and it was seeded with all of the AOL properties that used them, such as Netscape.com. By the way, Netscape.com was the default homepage. Now back to my therapy, already in progress: When dozens of people eagerly fired up the New Netscape 7.01, Now With Popup Blocking!, the very first thing they saw was a popup ad. WTF? * Much has changed since these glorious years. For instance, Netscape now adds only 7 AOL icons to your desktop. But also, Netscape.com no longer has a popup ad. You can still download Netscape 7.01, turn on "popup suppression" and change your homepage to CNN to relive the magic.